The Wednesday Worthy concept is taking a breather this week before launching in to an incredible series of interviews in June. 12 x 12 in 2012 — It was a bit of a struggle this month, and I didn’t get started on my May draft until mid-month, but I’m pleased to say I’m five for five, and I do have a May draft. It is VERY rough, it is far too long, and the ending is rather abrupt, but it does have a beginning, middle, and end, so I’ve fulfilled the basic requirement of the challenge. Once this manuscript has gone through some rigorous revision, I will be working further on it with an expert in the field that the book is about. He and I discussed the possibilities of this book during PiBoIdMo when I’d come up with the idea, and I’m looking forward to this semi-collaboration. Platform and Presence — You’ve likely noticed that I have a new profile photo here, there, and everywhere. While I know people liked my former photo (and yes, I liked it too) I confess that it was at least ten years old, and it was time for an updated image both in cyberspace and on my business cards. A friend — whom I’ve dubbed my “image consultant” — helped me choose which clothes to wear (by me putting on various things, taking photos with my MacBook’s PhotoBooth and emailing them to her, and her emailing her comments back to me, since she is several hundred miles away). She advised me on poses as well. Another friend (who only lives a few miles away) came over and took many, many photos. After we narrowed down the choices to the top ten or so, I again emailed them off to my “image consultant” who helped me make the final decision. That was a fun process! And now, speaking of next chapters, let’s take a look at what’s coming up in the June chapter on this blog, shall we? I’ve entitled this month here on By Word of Beth, “Writing from Different Perspectives” and I think it’s going to be an amazing month. For starters, I have FOUR incredible interviews lined up. I’m looking forward to them — in fact, I can hardly wait to roll them out each week! Talk about Wednesday Worthies! There’s a link embedded in each name, so that you can acquaint yourselves with them ahead of time, if you so choose. June 6th — Emma Walton Hamilton, author, freelance editor, educator, founder of the Children’s Book Hub, arts and literacy advocate… the list goes on. June 13th — Imogen Ragone, Alexander Technique Instructor, blogger, and all-round delightful person. June 27th — Julie Hedlund, writer, founder of 12 x 12 in 2012, regular contributor to Katie Davis’ Brain Burps About Books, awesome person. On June 4th and 18th, I’ll be doing a two-part series about using film or theatrical perspectives to build the foundation of a writing project. On the 4th, I’ll look at casting and scenic design, and on the 18th I’ll look at the broader aspects of thinking of a novel in film terms — we will be thinking like directors as we consider the writing process. On June 11th, I’ll be looking at how one finds or creates a special Writing Spot in one’s home, and I’ll be sharing my Writing Room with you. Spotlight Week, the final week of June, will be a celebration of the completion of six months of 12 x 12 in 2012, the half-way point in our year of producing one picture book draft per month. There will be a celebratory blog-hop as part of the larger 12 x 12 commemoration of this milestone in our writing journey, and it is pure serendipity that months ago, Julie and I had settled on the date of June 27th for her interview on my blog. Of course, Perfect Picture Book Fridays will continue as usual. They are such a joy! 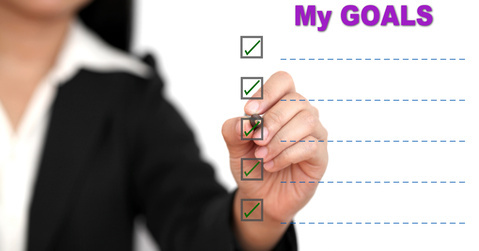 Finally, on the 30th, when I do my Accountability Check-In, I’m going to take a look back at the goals I set in January, and see where I am in the process of accomplishing those goals. Then, for the first three weeks of July, this blog will be on hiatus. I’m looking forward to spending part of that time at Stony Brook Southampton Children’s Literature Conference, getting my writing batteries recharged. How was your month just past? What are you looking forward to in June? Oh my, Beth, what a heartwarming, exuberant life-imparting post. So many good things to recount. Life sounds full, rewarding and challenging – as it should be! You have four wonderful worthy interviews lined up for your June Wednesdays and I can’t wait! Thanks so much, Joanna! I can’t wait for the interviews, either! April was a crazy month. May was a bit slower but more stressful since I’m now in the process of querying agents. June is going to be a good month. I have tons of writing to do which includes finishing novel 2 (at least a rough draft). Congrats on the accomplishments these past months. I like your new profile picture. And having an expert help you with your story sounds wonderful. Good luck with your chapter book. i’m looking forward to your June posts. I’m excited for you that you’re at the stage of querying agents, although I realize that’s a scary step to take. All the best with your plans for June! Looking forward to hearing about your progress! Thanks so much, Erik! June’s nearly here! You’ve gotten quite a bit accomplished in May. I noticed your new profile photo and have to admit you look very nice 🙂 YAY!! Great consulting and picture taking produced a great profile photo. So many things planned for June. I look forward to checking things out. Thanks so much, Angela. It’s going to be an amazing month, I think! I like your new image, Beth!! You are way ahead of me in pursuit of projects, but, I too, have a May mss that is not the best, but passable. I’m looking forward to the summer when I will finally have time to polish and send off manuscripts to editors! I’m glad I’m not the only one with a “just passable” manuscript this month! Thanks, Jarm! I hope you have a fabulous summer of revising and polishing and submitting. Yay, YOU! I think you’re doing swimmingly with your goals, and June looks chock full! Looking forward to it! Love your new picture Beth. I love the look in your eyes. Such happiness! Congrats on your chapter book surprise! I love when stories take charge! Cant wait for your interviews! Thank you so much, Elizabeth! Wow! Your interview line up looks amazing. I’m looking forward to it. I’ve never heard of a Disney historian – love it already! I’m in awe on how organized you are with your goals and projects. I’m wondering if you have time to answer one of my Let’s Ask questions for the month of June? Let me know! Brian is amazing. Click the link to be taken to his blog and to be astounded at all the things he does! Wow, I’d be honored to answer one of your Let’s Ask questions, if you really think I have anything to contribute! I’m now a new follower of his! You’re too funny about what you can contribute. I hope you don’t mind me saying this but when reading your posts on fb and in blogs I feel you have the “voice” of a teacher. Thank you so much for wanting to help me out. I’ll send you the question today! Oh, I’m delighted you’re going to follow Brian’s blog! And I’m also delighted with what you said about me having the ‘voice’ of a teacher. My mother often said “we are all teachers” and I believe that, too. And teaching and resource-sharing are very important to me, although I have no formal training in either education nor librarianship.